Driving MANY SMILES since 1960. We offer various classes, including Student Driver Training Classes, Adult Remedial Classes (12pt Suspension/2pt credit), Juvenile Driving Improvement Program, One-on-One Driving Instruction. Quality: Highest Caliber, Well-paid Instructors- We don't just put in the time. Years In Business: Our 54th Year, Locally Owned and Operated. Safety: All Instructors have passed 2 background checks, and are caring parents. Affordable: Seasonal specials and group discounts save you money! It all adds up to make Myers Driving School the best overall value! Mail to address below with a check for $14 made out to Myers Driving School, Ltd.
What states do NOT recognize out of state temporary permits? Vermont, Arizona South Dakota, Pennsylvania, Missouri and Hawaii. What do we do if we miss a class? You can make it up 2 weeks from the day you missed OR click on the "LOCATIONS & SCHEDULES" tab at the top of the page to view schedules to get times and dates that class number will be offered at another location. Your classroom instructor will be happy to assist you or feel free to call the office. We accept Cash, Check, Money Order, Master card or Visa. When does the in-car portion take place? 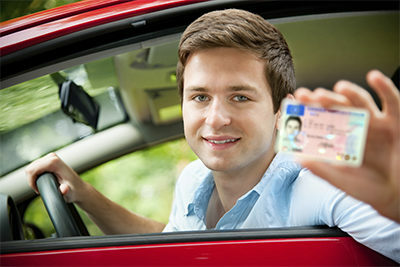 After you complete all twenty-four hours of class time, you pass your written test, your payment has been paid in full & you have supplied us with your temporary permit information... your student's information will be released into our driving pool. Wait times vary during different times of the year, so if you have not been contacted after several weeks, please contact our office. How long does the in-car take? The driving portion is normally done in four 2 hour sessions. We do pick up and drop off your student for this part. pickup can be from home, school, work Etc. Where is the Reinstatement Office?